Oates provides complete landscaping and tree services to industrial clients throughout the US Gulf Coast. We are well-versed in the unique requirements of providing landscaping services in industrial settings. Our management, supervisors and crews are all TWIC certified. Our landscape professionals can design, plant and maintain all of your landscaping. 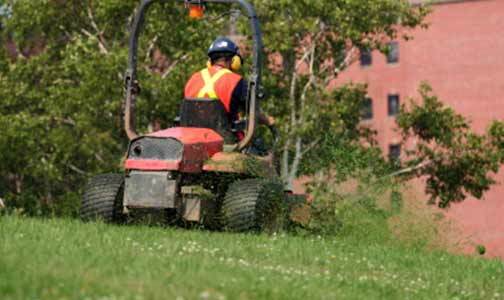 We provide mowing, edging, weed removal, weed control, soil aeration, tree trimming, tree removal, stump grinding and more. We diagnose and treat diseased, weakened or infested trees.